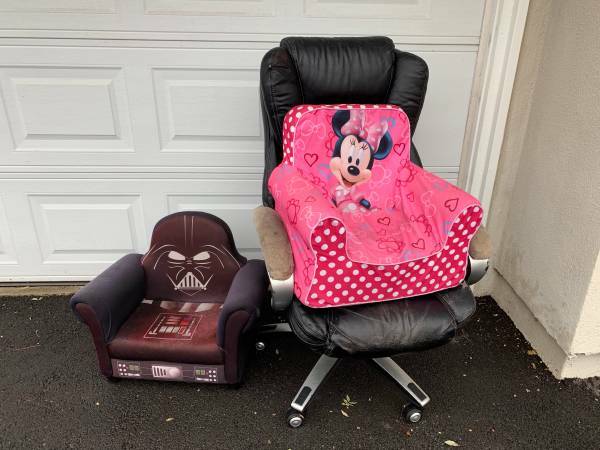 Free Giveaway : Computer chair and toddler chairs (Laguna Hills,ca) - GiftsDetective.com | Home of Gifts ideas & inspiration for women, men & children. Find the Perfect Gift. Free. Please pick up. In front of garage. Usable condition. 1-computer chair-arm rests aren’t great but if you need a decent chair, everything else is in decent shape. Previous articleGifts Wrapping & Package : A.P.C. Gifts Wrapping & Package : Ice cream gift wrap.